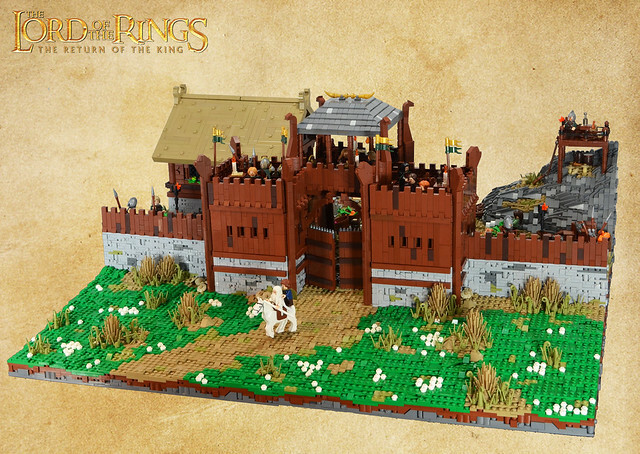 Here’s an impressive LEGO rendition of an epic film location — Edoras, the capital city of the Riders of Rohan in J.R.R. Tolkien’s fantasy classic The Lord of the Rings. 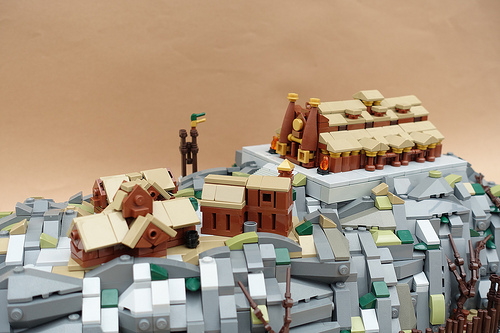 Patrick B. has faithfully recreated the film’s vision of the town — a hill, studded with wooden buildings, surrounded by a palisade, and capped by King Théoden’s hall. The wooden fencing around the town is excellent, particularly the towers — brilliant detailing for such small-scale building. And don’t miss the dark brown robot arms clutching Harry Potter wand parts — they make for surprisingly effective windblown trees. 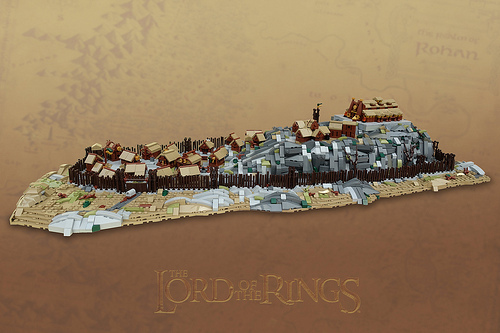 Castle, Lord of the Rings, Microscale, Patrick B. Although JRR Tolkien primarily created his Middle-Earth fantasy world as a place for his invented languages to exist, his populating of that world with an array of fantastical creatures was a key element in the enduring appeal of The Hobbit and The Lord Of The Rings. 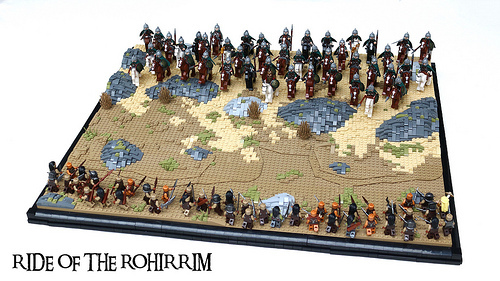 Aaron Newman brings us fantastic microscale LEGO models depicting the movie versions of 3 of Tolkien’s most famous “big beasts” — the Balrog, the Nazgul’s Fell Beast, and an armoured Mumakil. The Balrog looks great, with it’s flaming whip and broad wingspan. I particularly like how Aaron has captured the creature’s distinctive face in a tight selection of pieces. 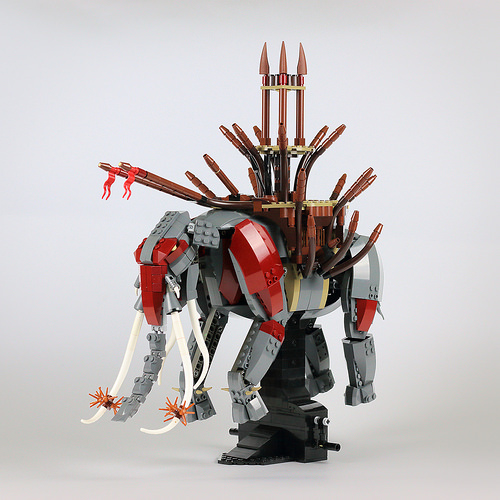 The Mumakil is brilliant, poised to stomp and tusk-sweep its way through a swathe of eensy-weensy Rohirrim. But the highlight of the show has to be Nazgul on his Fell Beast. A clever parts selection has managed to produce a sinuous and reptilian effect, perfectly capturing how the movie trilogy Fell Beasts seemed to slither through the air. 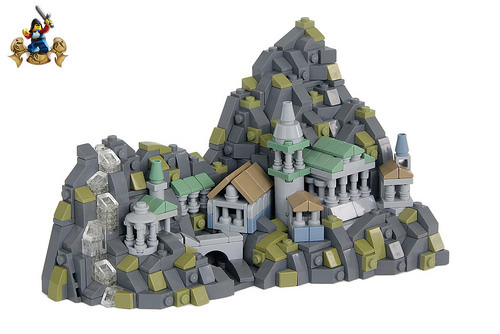 Now we need appropriately scaled microscale backdrops for all 3 models — come on Aaron, get to work. 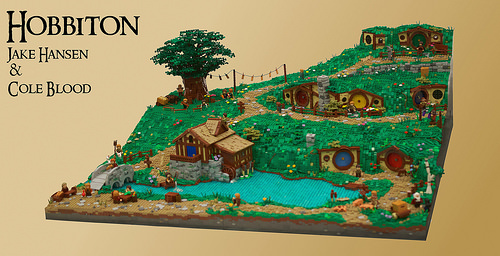 The iconic landscape of Hobbiton is a stark contrast to the majority of other locations presented in the stories of J. R. R. Tolkien, and its unique style is quite the popular theme for LEGO builders to tackle. Coming off the tail of a large Middle Earth-themed collaboration, Jake Hansen has joined forces with Cole Blood in what I hope is not the “Last Alliance”. Staves may be little more than glorified sticks, but they have managed to work their way into the very heart of fantasy symbols. Some of the most famous examples are found in The Lord of the Rings, wielded by some of literature’s most famous wizards. 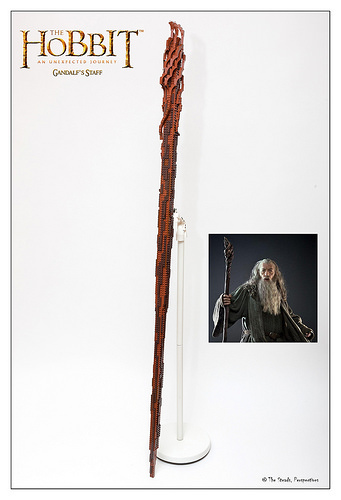 Jon & Catherine Stead have recreated in 1:1 scale a pair of the wizard staves seen in The Lord of the Rings films. The staff of Saruman the White is a remarkably clean model built around the Star Wars planet elements for the orb. Unless you zoom in, it might be hard to recognize the staff is actually LEGO. This is even more impressive if its mere five hours of build time are taken into account. The builders also share the exact piece count, which is 831 for this particular model, and it measures 91 inches in length. The staff of Gandalf the Grey is an impressive creation in a completely different way. 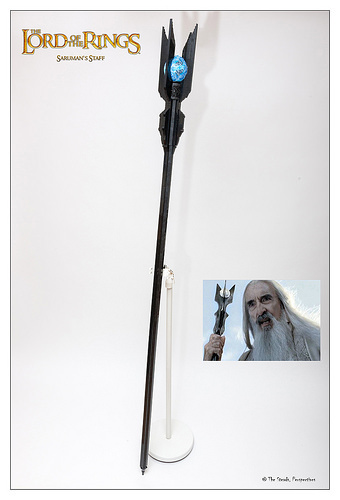 It is not quite as accurate to its movie representation as Saruman’s staff, but the complexity of the source material makes its recreation a much more impressive achievement. The spiraled headpiece is created using multiple arch elements wrapping around the shaft. 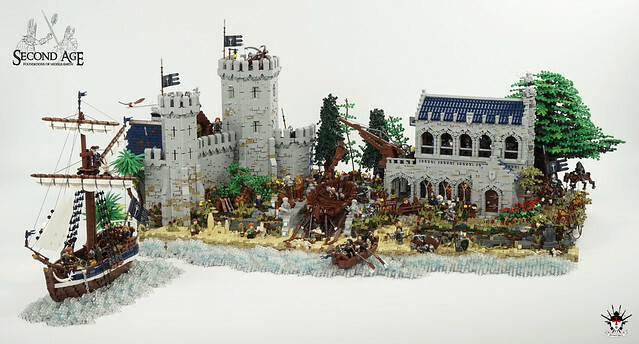 The build was completed in an impressive four hours using 938 bricks. It measures 61 inches in length. Minas Tirith, the Tower Of Guard, capital of the nation of Gondor, principal defender of the Realm Of Men against Mordor’s dark threat. 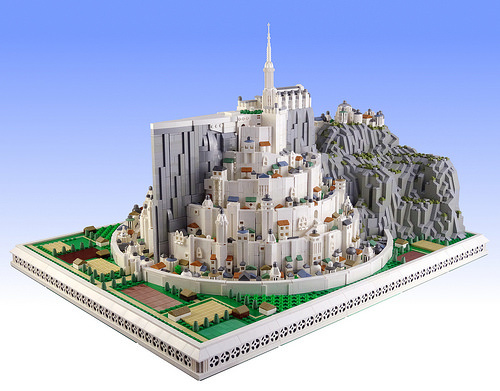 This famous city from Tolkien’s Lord Of The Rings has been the subject of many a LEGO creation, but it’s seldom looked better than in this rendition by Koen. 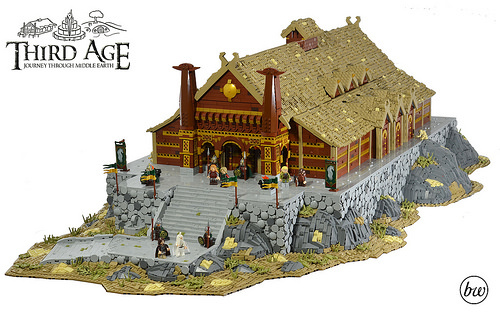 The model is large, despite being built in microscale, and is composed of around 11,500 pieces. Taking six months to design and build, it’s remarkably faithful to the films’ version of the city. 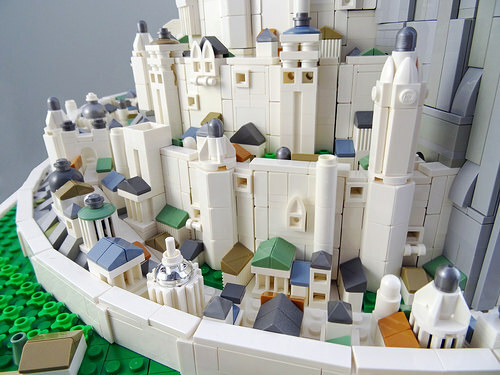 All the key elements are here — the great curved walls, the massive spur of rock, the tall citadel and the single white tree found on the topmost level. Koen has even gone as far as to include the tombs of the Gondorian Kings and their Stewards, situated behind the citadel itself. The Pelennor Field, the large plain before the city, is seen here in happy prosperous times with farms and forests right up to the city walls, which makes a pleasant change from its usual appearance as an orc-ravaged battlefield. Koen has shared more images which show the details of the buildings within the lower rings, and the various techniques employed to give them varied texture and shape. The muted “sand” shades of green, red, and blue used for the roofs gives a sense of realism whilst providing a pleasant contrast to all the white. My only quibble with this model arises from its accuracy to the film version of the city. It has always irked me that the outer wall in the movies was white to match the upper levels, when in the books it is described as hewn from the same arcane black materials as Orthanc. 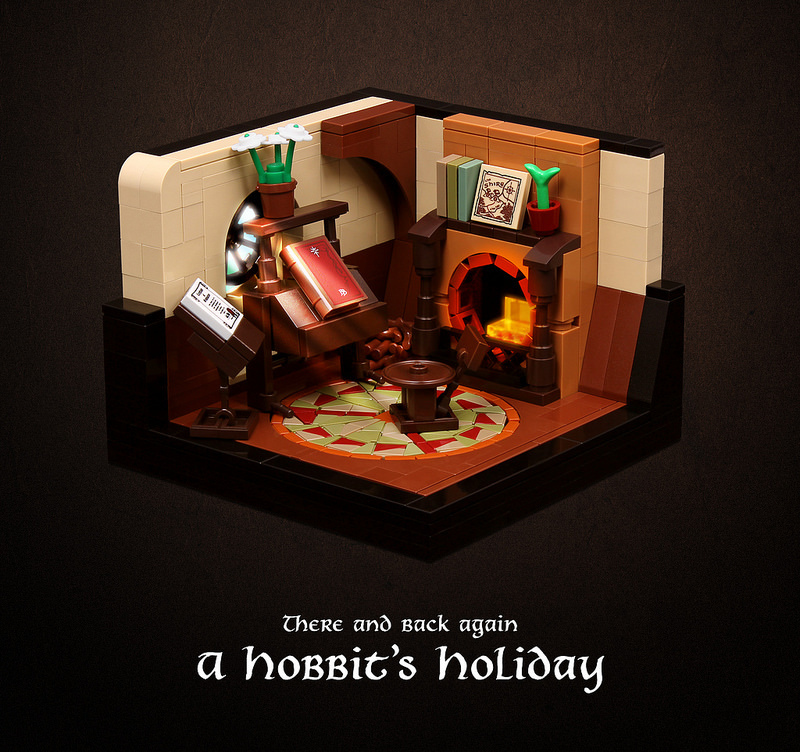 However, it seems harsh to hold that against such a wonderful piece of LEGO art, so I’ll push my Tolkien-geekery to one side and instead appreciate the building skills which went into this wonderful creation.